In its endeavor to make its contribution towards the promotion of excellenceand quality teaching of technical institutions, Indian Institute of Management Raipur is organizing six days Faculty Development Program for Faculty members under Technical Education Improvement Program (TEQIP) II at VW Canyon during July 13-18, 2015. This is a seventhprogram institute is organizing during 2014-2015. This is being conducted under the aegis of Ministry of Human Resources and Development (MHRD), Government of India, which has initiated the second phase of TEQIP for faculty members of higher educational institutes. 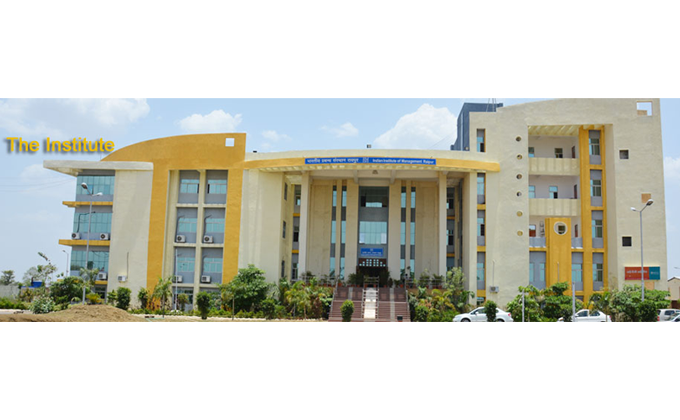 IIM Raipur has been entrusted by the MHRD with the objectives of highlighting the importance of world class technical education, identifying the gaps and lacunae in the present system, processes and infrastructure and evolving the benchmarks for the delivery of education and resources management. The series of programs is an outcome of learning of two-day conclave organized by Indian Institute of Management Raipur in May 2014. This 7th Faculty DevelopmentProgram from July 13-18, 2015will be attended by 29 participants comprising of Professor, Associate Professor, Assistant Professorfrom engineering colleges across the states of Chhattisgarh, Maharashtra, West Bengal, Jharkhand, Bihar, and Odisha. This Faculty Development Program is centeredon various themes, namely Achieving Academic Excellence, Adapting to fast changing needs, Participant Centered Learning, Assesing selfstrength and weakness,Teaching, Learning Process, Publishing in top class journals, Preparing for accreditation and Washington accord, Managing Academic Resources, Industry Networking and Career Options for Students. More such programs shall be organized for faculty members, heads of institutions and administrative officials of the engineering colleges.